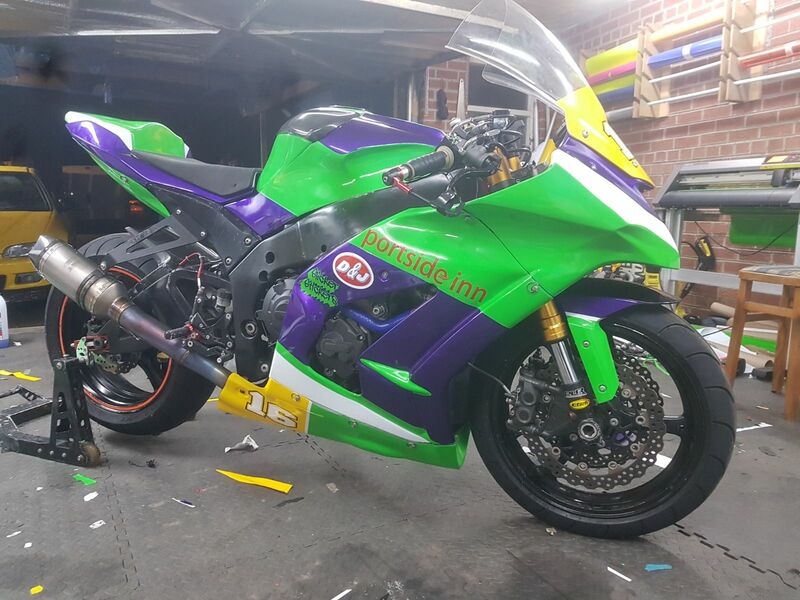 We are pleased to announce for 2018 that we will be contesting the Ulster Superbike Cup championship on our new ZX10R. 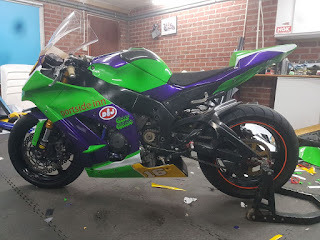 It's been 5 good fun years racing in the Formula 1 class, winning the championship 3 of those years and holding the class lap record at bishopscourt, kirkiston and mondello. I'll miss riding the ZX7RR, but it's time for it to go into retirement. I will also be contesting the Masters Classic Superbike Championship on a ZXR750 supplied by Jason Doyle and build by myself. This year's season is made possible by my sponsors, the Portside Inn and Scott Bell at SBR speedshop who have been with me right from the start. New sponsors for this year are my good friends Jason Doyle and Dave Moran from Moran's Bodyshop. 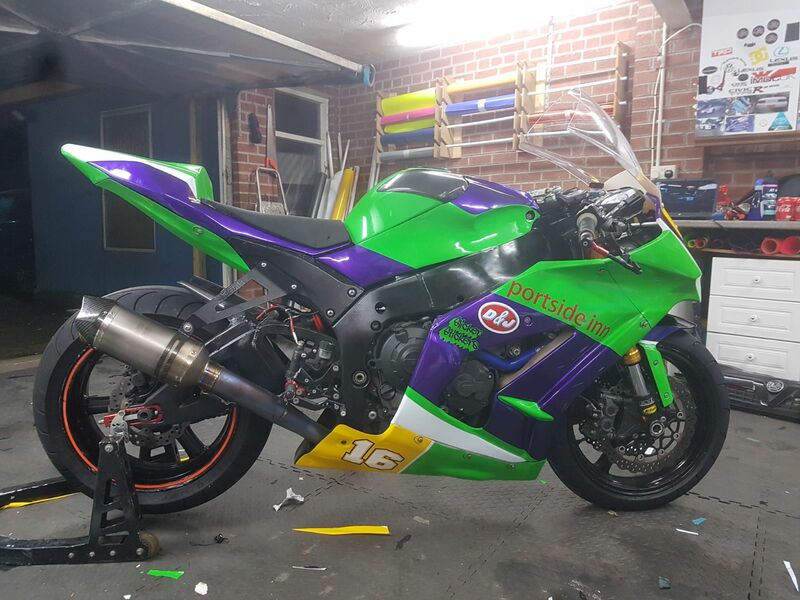 Castrol Oils are supplying their Power 1 racing oil. Michael Huey at huey brakes lines for his race proven pads and lines. 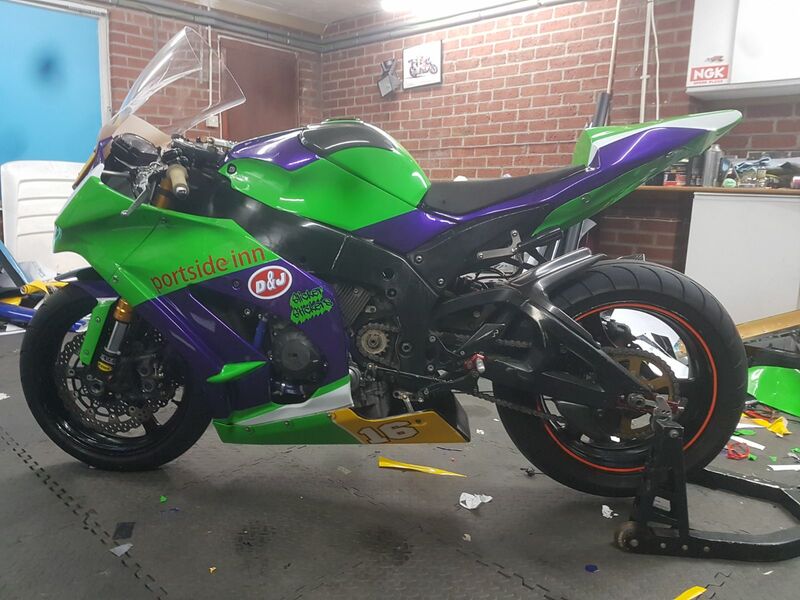 Lee Clarke at slicker stickers for the brilliant job on the colour scheme and lastly the Dynojet UK rider scheme.